BUCYRUS — Are you worried about a family member or friend who is struggling with addiction to opiates? Both Marion and Crawford Counties provide free training on how and when to give NARCAN® (Naloxone HCI), the first and only FDA-approved nasal form of naloxone for the emergency treatment of a known or suspected opioid overdose. In Marion County, the training is held at 2 p.m. on the first Tuesday of every month (with the exception of holidays) at Marion Public Health, 181 S. Main Street. No registration is required. For more information, please contact Marion Public Health at (740) 387-6520. The next Crawford County class will take place at 2 p.m. Thursday, Jan. 31 at Bucyrus Public Library, 200 East Mansfield Street. Participants must be Crawford or Marion County residents. Registration is required, and the deadline to sign up is Jan. 28. To register please call the ADAMH Board office at 740-387-8531 or 419-562-7288 and provide attendee’s first and last name, address, and telephone number. 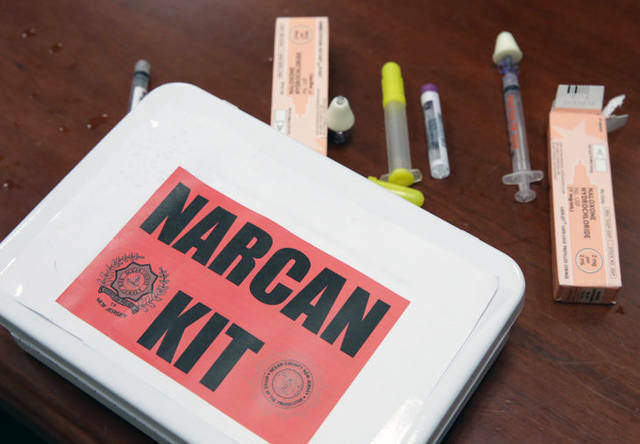 These community-based drug overdose prevention and education programs teach individuals how to: Recognize the signs and symptoms of overdose; Distinguish between different types of overdose; Call emergency medical services; Administer intranasal Naloxone. Also, participants also receive a free Naloxone kit to carry with them.